Thanksgiving is one of those days when bending from the traditional and conventional is never a happy thing to do. However, for those watching their weight and those made cautious about what they dig in everyday for the sake of health, this is perhaps time, to take the lighter route and introduce some minor changes in the ingredients that are sure to have major pro-health impacts. Take a look at some of the simplest recipes that you can bend at your will to add a personal touch of your own. 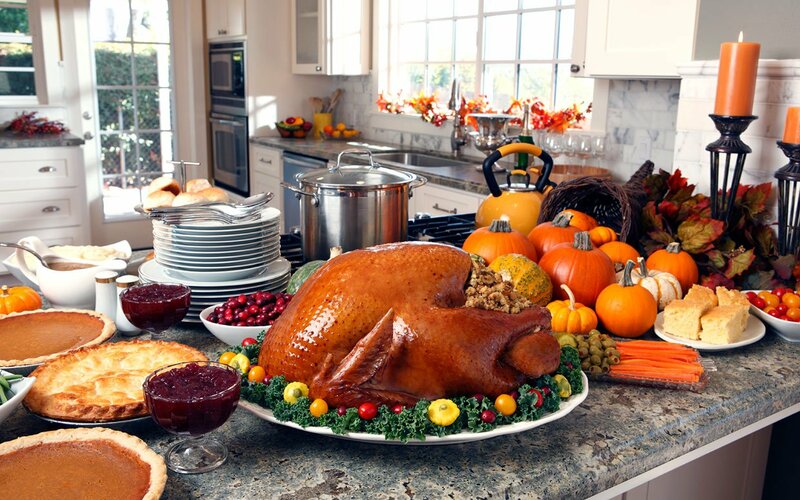 Turkey – Turkeys are the life of any thanksgiving dinner. For the sake of health or no health, no one is ever ready to give this bird a miss in the midst of all festivities. The good news is, turkey is basically healthy containing a fair amount of white meat which is lean enough for your system to feast on and yet distant enough from packing in limitless pounds. So, instead of going the traditional way and stuffing the bird with all the carbs and lard, you can go for lighter stuffing to bring about an instant weight friendly change in the main course. You can try the herb stuffing for a filling yet contained treat. All you will need for this recipe is a cup and a half of chicken stalk, 2 eggs, 12 ounces of wholegrain bread diced, 1 teaspoon minced garlic cloves, ½ cup chopped fresh parsley, ½ cup fresh thyme, ¼ cup sage, 2 tablespoons olive oil and salt and pepper to taste. Mix the first 3 ingredients in a bowl. Stir fry the garlic in the olive oil and combine it with the toasted bread crumb mixture. Add the rest of the ingredients to the same. Take a baking dish and coat it with cooking spray. Pour in the ingredients and bake for about 45 minutes at 350 degrees and you will be ready with one of the lightest yet one of the most flavorful stuffing for the occasion. Potatoes – ‘Baked’ is the word as far as potatoes are concerned. You can try the rosemary fingerling potato recipe for a light and tasty festive potato treat. For this you will need a pound or two of fingerling potatoes depending upon how many people will be on the table. For 2 pounds of potatoes, you will need 1 generous tablespoon of rosemary, 2 table spoons of olive oil, 3 shallots and salt and pepper to taste. All you have to do is cut the fingerling potatoes lengthwise and mix it with all the mentioned ingredients in a bowl. Pre heat the oven to 425 degrees. Arrange the potatoes in a jelly roll pan lines with foil and coated with cooking spray and bake for about 30 minutes. Turn the potatoes at 15 minutes for even cooking on both sides. You can garnish with fresh chopped chives and serve. The Dessert – As far as the desserts go, take a switch from the usual and go for the healthier pumpkin pies instead. As long as you stick to a piece or two, and not eat the whole pie for yourself, you will remain at a good distance from packing the pounds.